Contact the Mango Maids team today to schedule a janitorial cleaning consultation! Janitorial services can represent a range of specific commercial cleaning roles. Janitors can clean various rooms in a specified business and entire commercial properties. 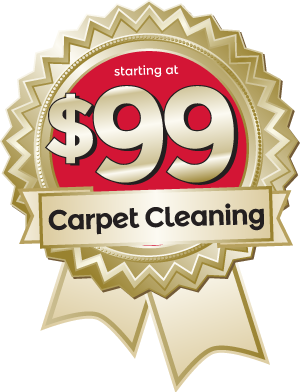 Janitorial services handle all your commercial carpet, surface, appliance and other cleaning needs. Janitorial services can help with regularly scheduled business cleaning needs. Janitorial services can also be ideal for commercial clean-up emergencies or large messes. Janitorial services are provided based on your specific needs. Mango Maids can provide professional janitorial services to handle your commercial cleaning requirements. We provide free estimates for all our janitorial services. Call Mango Maids to for more janitorial service information! Janitorial professionals are ideal for servicing your ideal commercial cleaning services. From commercial floors and carpets to various rooms and surfaces, professional janitorial contractors have what it take to completely clean your business and handle your office cleaning needs. Janitors can work around your personal business day to make sure that you come to a clean business every day. Book a janitorial cleaning service consultation with Mangos Maids today! Kitchens can be the ideal space for office communication, break time and of course food preparation. A dirty kitchen area can seriously damage the office moral and create potential health issues in the office space. Utilize professional janitorial service to make sure of commercial kitchen area stays clean. At Mango Maids we have what it takes to keep your business kitchen space clean and sanitary for any form of use. Bathrooms in commercial buildings need to stay clean. A dirty bathroom area can lead to a variety of personal, health and liability issues. Make sure your bathroom space remain a beneficial area with professional janitorial cleaning sieves. Janitorial contractors can keep your bathroom floors, appliances, mirrors and more spotless. Contact Mango Maids anytime to learn more about what out janitorial services can do for your business and handle your bathroom cleaning! Working with professional janitors has a variety of major benefits. Professional commercial cleaners work hard to meet specified cleaning standards with our services. Janitorial professionals can inspect your business to find the areas that need the most care. Janitorial services cover a range of individual tasks all aimed at showcasing the cleanest and most aesthetically pleasing business possible. For all your janitorial service needs, contact Mango Maids! Contact Mango Maids today for janitorial services – fill out your information below and our customer service team will be in touch with you shortly!